Our Urban Chickens: Should We Love Them or Eat Them? Thankfully our seven lady friends started laying eggs again after a too long winter break. We were all getting worried that they had stopped laying eggs all together. OK, I knew the laying would come back, but how soon and at what level of production – that I didn’t know. The eggs are coming again, and I’m thankful for them, but they are not coming at the same rate as they did when the ladies were 1 and 2. At their peak, they were laying two eggs every three days. Now I estimate they’re laying one every three days. Quite a difference. And it’s not their fault, production slows when they get older. And by older, I mean 3 years old. 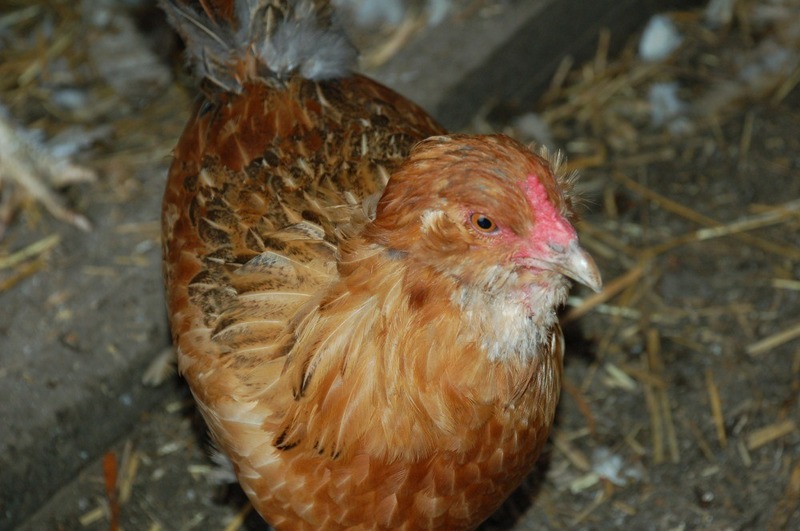 So, I ask, should we eat our chickens or keep them as our pets? From where I’m sitting, we should eat them. We feed them scraps from our table, we give them leftovers from the garden, we enjoy their eggs, we use their poop for fertilizer. Together all of these steps are part of the natural cycle of life that we’re trying to re-create as much as we can on urban farms like ours. Well, to complete the cycle, we should eat the chickens that we have so carefully fed and that have so wonderfully fed us back with their delicious eggs. Eating them would complete the circle and, in my view, give them ultimate respect. What shows respect more than eating something and having it become part of you? But wait, I’m only one person. Not all the members of our family agree that eating our chickens is a good idea, namely my daughters, ages 6 and 4. And also, our neighbor who we share the chickens with also doesn’t think this is a good idea. Probably the writing was on the wall when the girls and our neighbor named the ladies. So, for now, they live on, and for now they are continuing to give us eggs. So we’re all happy with the status quo. For now. We kept our chickens as egg layers/pets when we were growing up. I loved them and they all had their own personalities. Also, as layers, your birds may not be especially suited for eating. On the other hand, do you want to be stuck with the cost of taking care of them for the next few years? It’s a tough question!